Although Florida has a reputation for being a state supportive of Second Amendment rights, make no mistake: If you are accused of a crime involving a firearm, the state is almost certainly going to prosecute the charge with vigor. Even with statutes such as the controversial (and widely misunderstood) Stand Your Ground law, Florida is strict on gun crimes. At The Ansara Law Firm, our experienced Fort Lauderdale criminal defense lawyers recognize that any crime committed with the aid of a firearm is going to be enhanced in the eyes of the law. No matter what the charge, the addition of a firearm is going to exacerbate the situation. So for example, if you’re charged with assault for issuing a plausible verbal threat, you would normally be looking at a second-degree misdemeanor. Under Florida law, this carries a maximum two months in jail, plus probation and fines. However, let’s say in the course of that same act you flashed a firearm. Now, you have brandished a deadly weapon and thus increased the level of crime to a third-degree felony, punishable by up to five years in prison. Penalties could be even more severe under Florida’s “10-20-Life” Law. This statute requires the imposition of stiff minimum mandatory sentences for conviction of certain felony crimes in which a firearm was involved. Florida’s 10-20-Life Law, as codified in F.S. § 775.087, allows law enforcement and the courts to take a zero tolerance approach toward anyone in possession of a firearm in the commission or attempt of certain crimes. 25-to-Life minimum mandatory sentence if the accused discharged a gun and seriously hurt or killed someone. 15-, 20-, 25-years-to-life in prison for use of a semiautomatic weapon in the commission of any of these felonies. The court has absolutely no discretion in these cases in terms of reducing minimum sentencing. What that means is if you are convicted and your case falls within the 10-20-Life Law, you will go to prison, and likely for an extended period of time. This is true regardless of mitigating circumstances that may be presented. Additionally, defendant is considered ineligible for any kind of suspended sentence or early release or even clemency or pardon or medical release until that minimum sentence has been served. And of course, none of this prevents the court from going beyond the minimum mandatory sentencing structure and imposing even harsher sentences on convicts. 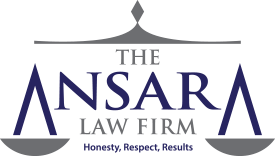 Our goal at The Ansara Law Firm is to provide clients with skilled criminal defense to help avoid conviction of any of these crimes in the first place. Court is sentencing for a felony committed within five years of the last prior felony or release from prison, probation, conditional release or parole. If a person is deemed a “habitual felony offender,” the court can impose double the sentence – in some cases more. So for example, conviction of a third-degree felony normally carries a five-year maximum prison term. A habitual felony offender can be sentenced to up to 10. He or she will not be eligible for release for at least five years. A person convicted of a second-degree felony would normally face up to 15 years in prison. A habitual felony offender can be sentenced to up to 30 years. He or she won’t be eligible for release until at least 10 years. And finally, a person convicted of a first-degree felony as a habit6ual felony offender can be sentenced to life in prison. He or she won’t be eligible for release until at least 15 years. Although firearms are not an essential component in “habitual felony offender” cases, they often come into play as an additional enhancement.